The Door Store — a family-owned and -operated company — installs state-of-the-art vinyl and aluminum-clad replacement windows at homes throughout the Western Chicago suburbs. We pride ourselves on taking care of our customers, treating them fairly, and never taking advantage of them. Our ongoing commitment to complete customer satisfaction has helped us earn an A+ rating from the Better Business Bureau. 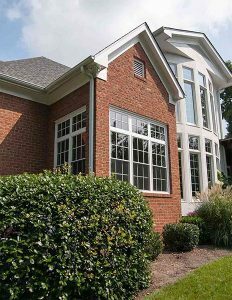 These manufacturers craft replacement windows of superior quality, and they stand behind their products. You’ll also be glad to know that we offer a standard two-year labor warranty, and that we’re quick to respond if you should ever encounter an issue. Selecting replacement windows for your home doesn’t need to be a difficult task. Unfortunately, researching manufacturers’ qualifications and sifting through countless design options can often become overwhelming. But, when you partner with The Door Store, our knowledgeable team will take care of the hard work for you. In fact, our customers constantly tell us how easy and simple we make the whole process. We’ll begin by asking you some questions, then we’ll walk you through different variables so that we can guide you to the best solution for your individual needs. And, once you’ve selected your replacement windows, we’ll make sure the installation is also a simple, stress-free process. Our factory-trained installers have many years of experience focusing on windows and doors, so you can feel confident entrusting your new windows to them. Plus, we’ll work around your schedule whenever possible to ensure that the installation doesn’t disrupt your daily routine. For more information about the replacement windows we install throughout the Western Chicago suburbs, contact The Door Store. Our knowledgeable team will provide you with more information about our windows and help you set up a complimentary in-home consultation. Or, better yet, stop by our beautiful showroom in Villa Park to view our replacement windows in person. You’ll be able to peruse full-size displays, as well as a room that’s filled to the brim with various hardware options. And, our experts will be on hand to answer your questions and help you select a product that’s perfect for your home.